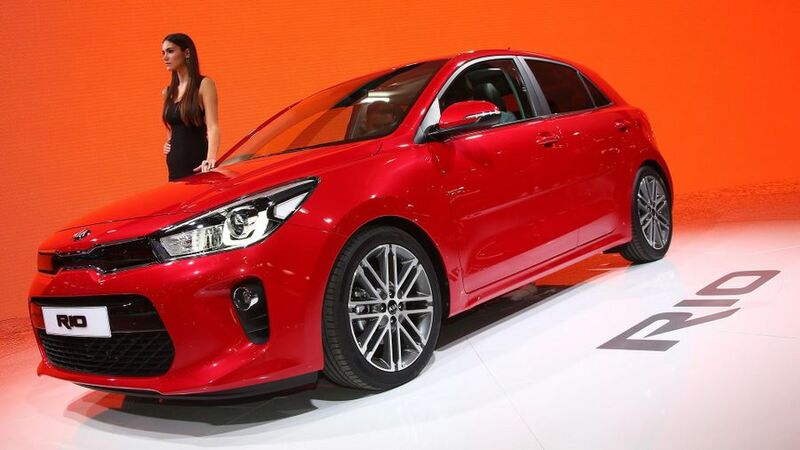 The new Kia Rio has been launched at the Paris Motor Show. It will enter UK production towards the end of 2016. The fourth gen of the Rio has been redesigned on the inside and out – with more straight lines and smooth surfacing. At the front, the grille is thinner and wider, and the headlamps have become skinnier and more sculpted than on the previous model. Meanwhile, at the back, the windscreen is now nearly vertical, and the rear lamps are thinner, with an arrow-shaped LED light. However, while the details are getting thinner, the car itself has plumped out a bit, expanding width by 5mm (to 1,725mm). It’s not just the width that’s growing. 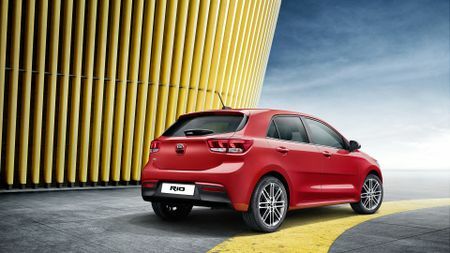 The fourth-gen Rio has a long bonnet, a longer front overhang, 10mm longer wheelbase, and a shorter rear overhang than the outgoing Rio. In total, that translates to a car that's 15mm longer (making it about the same length as a Ford Fiesta), as well as 5mm lower. On the inside, the cabin has been redesigned, too; and, while the cabin isn’t any bigger, the sense of space is, according to Kia. There’s also a new infotainment system, and a high-resolution touch-screen that sits on top of the dash to reduce the number of buttons. That powers the car’s audio, navigation and connectivity systems. Buyers can choose either black or grey cloth upholstery, or faux leather. There’s also a ‘red pack’ option, that gives you black with red faux leather-trimmed seats throughout, to go with the gloss black and metallic trim in the cabin. Previous versions of the Rio have come with four engine options: a 1.25 and 1.4-litre petrol, or a 1.1 and 1.4-litre diesel. It’s likely that this new model will have a similar offering, although Kia has got a fully developed 1.0-litre three-cylinder turbo engine, which could also be an option. No prices have been revealed yet, but it’s likely there will be a small increase over the previous model thanks to the additional equipment. The cheapest version will probably be available from a little over £10,945, making it an affordable rival to the Ford Fiesta and Volkswagen Polo.